Bodhi&Bass is a virtual Zen Hermitage, a branch of the Dharma Winds Zen Sangha, part of the Zen Buddhist Order of HsuYun. The Hermitage also serves as a European Affiliate of the Cosmos Chan Community. The question which brought Bodhi&Bass into existence was: “How do we fully and authentically embody the truths that we’ve learnt on the spiritual path in everyday life?”. And so, Bodhi&Bass was created as a place to explore Buddhism, arts (every occupation is a kind of art) and the place where they intersect. Because my goal is to realize and express Enlightenment (Bodhi) in daily activities (for me that’s most often playing the bass), I called this organization –Bodhi&Bass. Simply put, our mission is to help you be a truly happy, stress-free human being in your everyday life. And the good news is, you don’t have to turn into some glassy-eyed hippy! 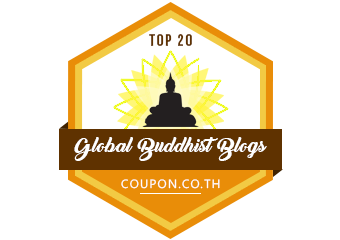 Basically, we strive to bring you Everyday Buddhism for Everyone. I play bass. I study Buddhadharma. Those are surprisingly similar things. I have been practicing Buddhadharma since about 2008. Starting out in a Theravada context and learning from outstandingly inspiring teachers, I then practiced Zen in both Korean and Vietnamese traditions, and now study and practice Vajrayana (Kagyu) Buddhism and am a novice priest of Chan Buddhism (Linji Lineage of HsuYun). My highest aspiration and greatest inspiration is the actual pursuit of happiness – that means my own happiness coupled – inextricably – with that of all others. All things fruitful found on this site are all the kindness of countless teachers, who have been nothing but kind to me in pointing to the moon for my pitiful sake. All things poisonous, arrogant, stupid and unskillful found here, are all my own fault, born of beginningless greed, hatred and ignorance. All merit accumulated through any positive action committed by my walking corpse, I give away fully. May it help all my sentient mother beings in their complete and utter blowing-out.